Washington D.C. – March 27, 2008: The Sikh American Legal Defense and Education Fund (SALDEF), the nation’s oldest Sikh American civil rights and advocacy organization, in partnership with ITVS, The American Arab Anti-Discrimination Committee and The Interfaith Alliance is proud to be a co-sponsor of the cross-country and national television screening of the critically acclaimed documentary, A Dream in Doubt. 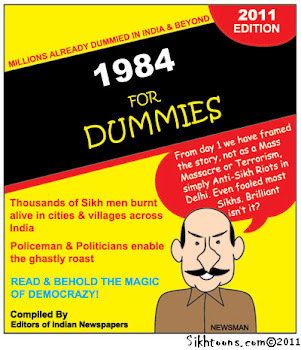 The film, directed by Tami Yeager and produced by former SALDEF National Director Preetmohan Singh, will be screened across the country over April and May. A Dream in Doubt is an immigrant story in a world in which patriotism has morphed into murder. When Rana Singh Sodhi’s brother, Balbir Singh Sodhi, is killed in America’s first post-9/11 revenge murder, he begins a journey to reclaim his American dream and fight the hate that continues to threaten his community. This intimate, hour-long documentary of one man’s odyssey from persecution in India to embracing America as his homeland proves that courage and hope have the power to overcome hate. 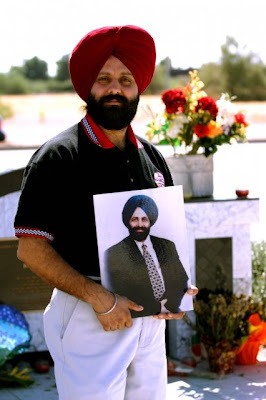 In August 2002, Sukhpal Singh Sodhi, Rana’s next-oldest brother, was murdered in mysterious circumstances while driving a cab in San Francisco. Three weeks after Avtar’s shooting, another friend, Inderjit Singh was physically assaulted and threatened with death while working at a convenience store. Finally on September 23, 2003, Sukhvir Singh, was found dead behind the counter of a convenience store in Tempe, Arizona, of a stab wound to the head. In the face of such tragedy, Rana exclaims: “This is America! This can’t be. We will not tolerate it.” The film follows Rana and his family as they seek vindication for his brothers’ murders by working to educate fellow Phoenix-area residents about hate crimes; acting as the spokesman for his family and the Sikh community; running his gas station to support his family; and, most importantly, attempting to guard his own school-aged children—Rose, Satpreet and Navdeep—from bullying and harassment. Rana endures these injustices through a steadfast belief in the Sikh and American values of freedom, self-reliance, and equality. But, with each new incident, Rana’s wounds are reopened and he is forced to question how much should he suffer. For Rana, America is on trial. SALDEF encourages all Americans to attend a screening in their area with their families, to share the story of this true struggle of one Sikh American family’s journey towards finding their own version of the idealized American dream. Founded in 1996, SALDEF is the largest and oldest Sikh American civil rights and educational organization dedicated to protecting and promoting the civil rights of Sikh Americans through legal aid, advocacy and educational outreach. 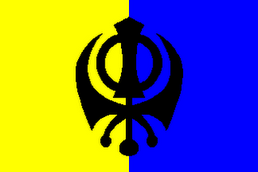 SALDEF's mission is to create a fostering environment in the United States for future generations of Sikh Americans.